Just had to post again! 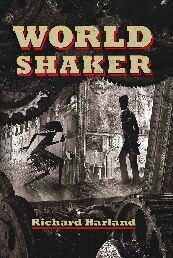 Another international offer for WORLDSHAKER came in today – this time from a French publisher, Helium. I love this overseas sales thing. Like having a new novel written over and over again, without the trouble of actually writing it. Great way to make money too! This entry was posted on August 31, 2009 at 9:49 am	and is filed under Uncategorized. You can follow any responses to this entry through the RSS 2.0 feed. You can leave a response, or trackback from your own site.